Whether you have lost some weight, or want to avoid gaining a few pounds, managing your weight is a daily task. There are some very simple tools to help you with weight management and some that take a bit more work. Choose some more simple ones to start out with and integrate them into your life on a weekly or bi-weekly basis. Don’t try to force all these new habits at once. 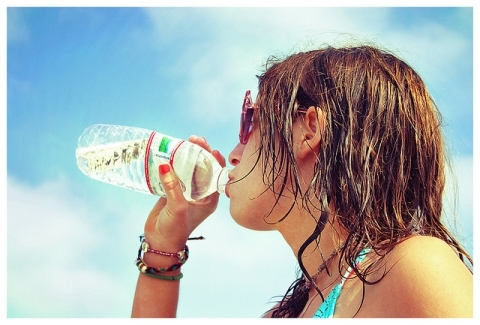 Drink lots of water: Sounds pretty simple, but it is very helpful. If you’re dehydrated, you’re energy levels are low. And people tend to turn to more carb/fatty based foods when feeling overtired. And sometimes people often confuse thirst with hunger. Stay hydrated and keep your body working smoothly. Meal Prep: This is something that definitely helps me stay on track. If I have everything ready for my meals in the fridge and plan out my cooking days, I am not as likely to order in or snack. Watch Less TV: Get up and move! If you’re exhausted on Friday after a long week at work, go for a nice walk and then ready a book in the bath. When you’re tired, often picking yourself up and engaging in some light exercise will help you gain energy. Be Present: We often forget what we’ve had to eat in a day because there can be so many moments of just shoving food in our mouths without even thinking. Be present when you’re eating. Ask yourself if you’re really hungry or just looking to fill a void like boredom or stress. You can keep a food journal for a few weeks to help you with this if you’re having trouble staying present. Build Muscle: Muscle increases your metabolic rate and burns more calories while you’re not doing anything. So if you’re just doing cardio at the gym, add in some weights, that will help you burn off fat when you’re not at the gym. Don’t Skip Meals: Skipping meals can not only mess up your metabolism, it can lead to binge eating. Having healthful foods throughout the day will leave you satiated. Skipping meals will lead to higher sugar/fat/carb cravings and binges. Get Support: Ask your spouse, family, or friends to join in your healthy lifestyle changes. You’re success rate is much higher when you have others to join in on the challenge. Mind frame: This is a lifestyle change, not a quick fix. Take it slow and let your new habits be ingrained in your mind and body. Indulge: Allow yourself to have your favourite foods or treats in moderation. Depriving yourself of things you love will only lead to over-eating them when you do allow yourself to have some. Don’t feel overwhelmed by all the aspects of weight management. As I mentioned earlier, bring one task at a time into your life. Then once you feel it has become more of a habit, move onto a new one. Everyone has trouble managing their weight, but it doesn’t have to be so bad. Remember our weight fluctuates 5-10 pounds often depending on what’s happening in our lives. Focus on a healthy lifestyle rather than a number on the scale.